Pyle's Red Label speakers don't just sound great - they also look stunning. This 15 inch 1000-watt subwoofer will give your sound system that extra kick you're looking for. The red CD wave electro-plated cone reproduces the low-end accurately for punchy, powerful bass. The wide butyl rubber surround with bumped vented pole piece keep your speaker secure and distortion-free. It's all powered by a 70 oz. magnet structure with 2.5'' high-temperature Kapton voice coil. 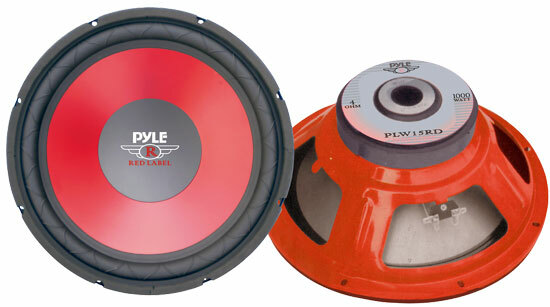 Look to Pyle's Red Label for premium bass at a great price.